For U.S. residents, there’s never been a better time to visit Canada. Thanks to the strong dollar, U.S. visitors will find items less expensive, from hotels to restaurants (if you withdraw Canadian money from an ATM, using your low-transaction-fee debit or credit card). 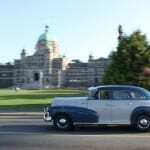 The Victoria Clipper has a few new options I thought I’d share — they’ve added a Family Fun on Bicycles tour that takes families on a private, two-hour cycling tour of Victoria ($41.75/adults, $26.50/children over age 2, prices in USD). 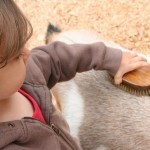 The tours fit the family — so young kids may want to visit the petting zoo at Beacon Hill Park or feed the seals at a wharf, older children can visit historical sites or explore one of the beaches outside of downtown. 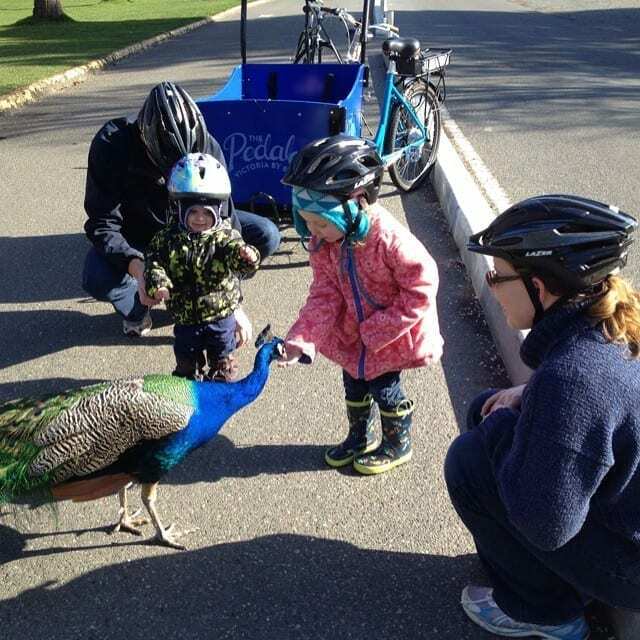 Meeting a Beacon Hill peacock; Photo courtesy The Pedaler. The Pedaler (leading the tours) can set you up with a cargo trike that can either be driven by a tour operator or a family member, bike trailers for toddlers or a trail-a-bike so your child can pedal behind your bike. Kid-sized bicycles are also available; the smallest size is 20”. Check out the options at The Pedaler’s site. 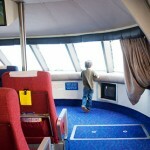 The Clipper also offers Shaw Ocean Discovery Centre as an add-on option to travel/accommodations. 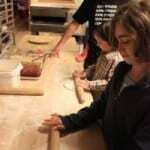 The centre is in Sidney, BC, which is either a 30-minute drive or very long bus ride from downtown Victoria. I’d suggest it only if you have an extra day or so, because of the time involved. However, Sidney (also called Sidney-by-the-Sea) is sweet, petite, fish ‘n’ chips-style town. 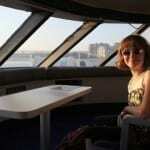 Children under age 12 are $10 per paying adult when booked with an overnight package. The children’s tickets sans package aren’t too expensive either ($35). Go before they turn 12! On the breakfast menu, there’s a kid’s basket called the “Lil’ Sailor” with Kellogg’s cereal, milk, string mozzarella cheese, a cup of fruit and a fun surprise ($4.50), if you didn’t have time to pack a breakfast. 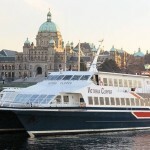 You’ll hear about contests and promotions by signing up for the Victoria Clipper’s email list — no quick-link, scroll to the bottom of the page and look for the “Subscribe” text-entry box. I heard about the new online check-in via the e-mail list. Or you can follow the Clipper on social media like Facebook, Twitter, and Instagram.